TAKE THE SCENIC ROUTE! RUN THE TOWNEBANK OUTER BANKS MARATHON! It’s been stated that the best way to explore a destination is to run through it. The Outer Banks Marathon held each Veteran’s Day weekend (November 10-11, 2018) will gives a tour of this historic coastline like no other! An event for all ages and for the inner explorer in all of us, this flat point-to-point (and Boston Qualifier) course will take you through the beautiful and breathtaking coast of North Carolina’s Outer Banks (OBX). The Outer Banks Marathon, with it’s authentic “hometown” feel and encouragement by thousands of OBX residents along the way, will please all of the senses! Begin your journey through the village of Kitty Hawk, and down into the historical town of Kill Devil Hills. “KDH”, known for its beautiful views of the Albemarle sound will have your senses “flying” as you reach the Wilbur and Orville Wright Memorial, the birthplace of flight. Your journey continues, on this Veteran’s Day weekend, as you head into postcard views of the maritime forest of Nags Head Woods. Enjoy a change of terrain and become one with nature through about 3.5 miles of this beautiful conservancy. Now out of the woods, feast your eyes on Jockey’s Ridge; one of most striking of the last remaining sand dunes on the OBX and largest living sand dune on the east coast. With enough sand to fill up 420 acres, be glad Outer Banks Sporting Events (OBSE) didn’t include Jockey’s Ridges as part of the course! You’re so close now! You’re almost to the finish! But to get there you must first traverse the Washington Baum Bridge. Reaching the bridge at mile 23 of the race, you are challenged with a 4% elevation grade for about 650 feet. Climbing to its crest at it’s highest elevation of 82 feet, the bridge features an incredible view of the Roanoke Sounds and Roanoke Island. 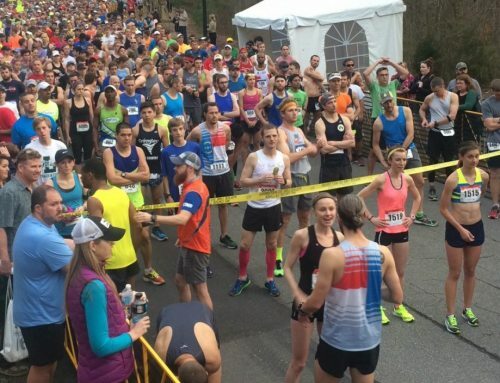 With a 5k left, it’s all downhill from here – literally – wow! You’ve made it to the quaint and historic town of Manteo on Roanoke Island. You ran through four towns and villages of the Outer Banks and are now on your way to the finish line and one of the best post-race parties on the East Coast! It’s time to enjoy music, food and beverage and relish in the celebration of your accomplishments with your family and friends on the gorgeous Manteo Waterfront. Victory is YOURS! There’s no doubt about it! 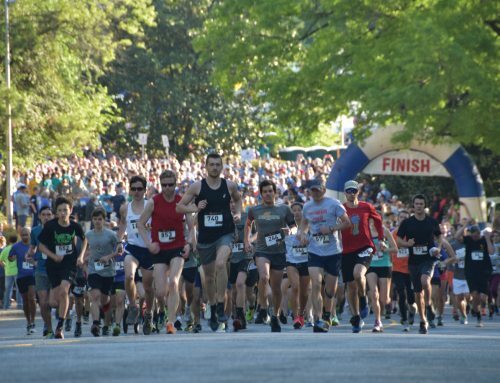 With a full two days of events from the 5k and 8k to the Southern Fried Half and the Townebank Outer Banks Marathon, the Outer Banks Sporting Events (OBSE) have put together a challenging weekend of multi-distance running and combo events for the whole family to enjoy. “I absolutely love coming down every November for the race. I love the course, the people are great and friendly, the expo is good for being in a small space, and the food/beer/party at the end is awesome,” said Meaghan Laura. The fun doesn’t have to end there! You’re here, so why not explore more of what the Outer Banks has to offer. Great restaurants and beaches, wild horses and coastal lighthouses; there’s fun for the whole family right here on the Outer Banks of North Carolina. Come run with us! You’ll be happy you did! OBSE organizes the Outer Banks Marathon, Flying Pirate Half Marathon, and other races throughout each year to raise money for its founding nonprofits, to promote local health and fitness in communities near and far, and to create economic activity during the shoulder seasons of the Outer Banks. All net profits are donated to the Dare Education Foundation and the Outer Banks Relief Foundation. Since 2010, Outer Banks Sporting Events donated over $1M to each of the organizations. 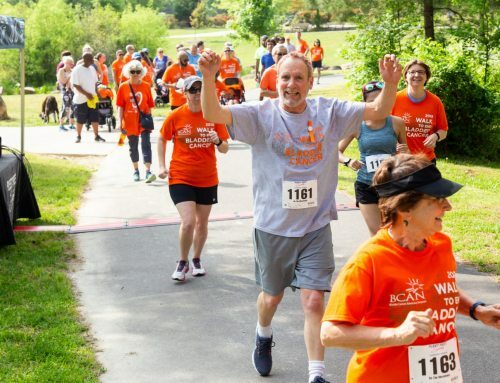 It’s your chance to get fit and party like Buffett! 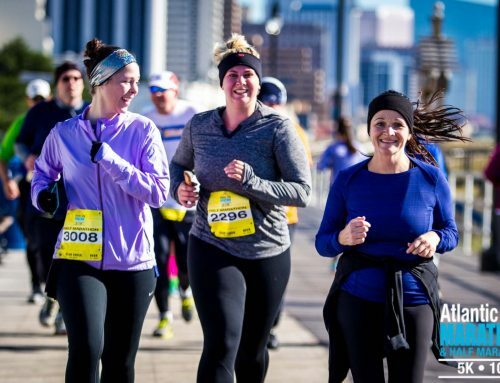 RUNNERS CAN SAVE MONEY AND HELP CHARITY!